In recent years it is rarely possible to find public places where there is no wireless internet. Having come to a cafe or a pizzeria, you will find that there will be Wi-Fi, but most often protected with a password. 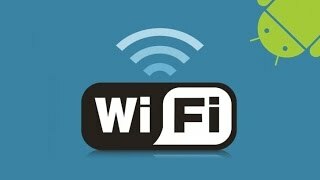 In this article, we will focus on how to connect to a password protected Wi-Fi on Android. Turn the Wi-Fі on by moving the slider. In the list of networks, choose the desired one. If access is protected, you must enter the password. After that, you can use the World Wide Web. Move the slider to the active state. Click on the “Access point settings”. Specify the name, turn on the protection and create a password. Click “Save”. These settings will create an access point on your gadget; it will be visible to other devices. The technology that simplifies connection – Wi-Fi protected setup – was created for those people who have minimum IT knowledge. Using this protocol, you will not need to enter a password to gain access to the network. If your router supports this feature, then you are very lucky. Note that if the router has a small «WPS» button, then you just need to turn it on. Now everything is ready, and you will easily be able to make connections from other devices. To do this, you’ll need to connect and you will not have to enter the security key.